It unites people around a common interest or experience, and ideally, creates a trend. For Almost Everything. Almost. by A.1. It's wedding season and along with cake and a caterer, one of the essential items any modern couple must secure is a hashtag. 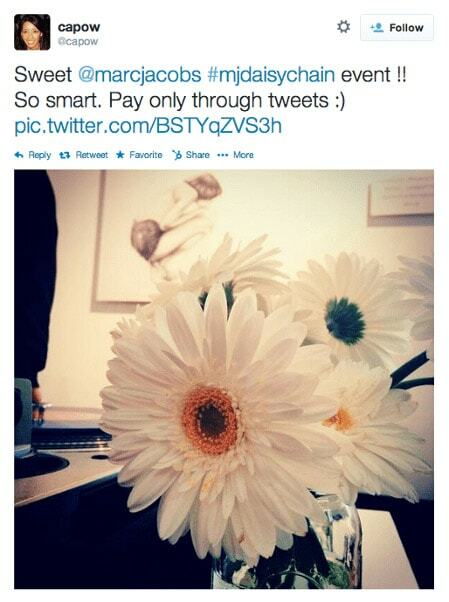 Today, unique hashtags allow event guests to collaborate and easily share their favorite memories across social media. It's like a living, breathing wedding album that you can access anytime, anywhere with an internet connection. As a marketer, I can't help but see these and think, "What an effective social media campaign" -- Why do brands big and small struggle to do the same? Sure, brands have social media accounts and include them in their marketing efforts, but it's rare that they propel any real action. While asking for a follow or share may fall upon deaf ears, prompting people to actively create and participate in a well-thoughtout social media campaign will help you initiate more quality interactions, and ultimately see more results. Now, while wedding guests will share pictures regardless, the elusive perfect hashtag inspires action and creates a community around the shared experience of the event. A successful social media campaign for a brand does the same. 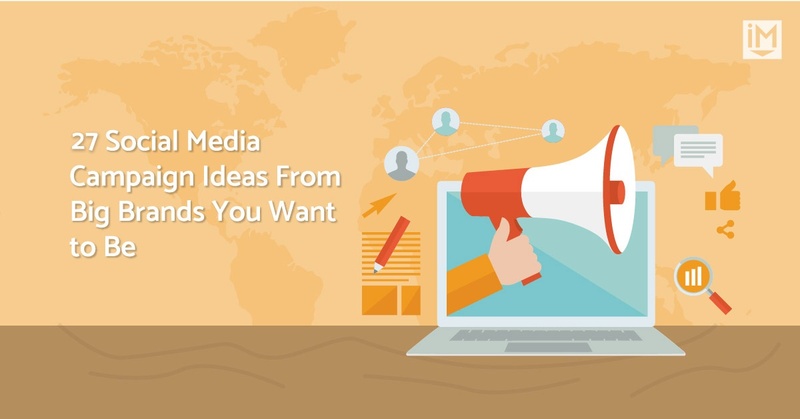 In this article, I'll share 27 of the most iconic social media campaign ideas from the past few years to guide and inspire you. Some were simple, some were complex, but all of them were huge successes. Tell me what you think in the comments below! LIDL Avoracle from Viktor on Vimeo. To say avocados are popular today, would be an understatement. 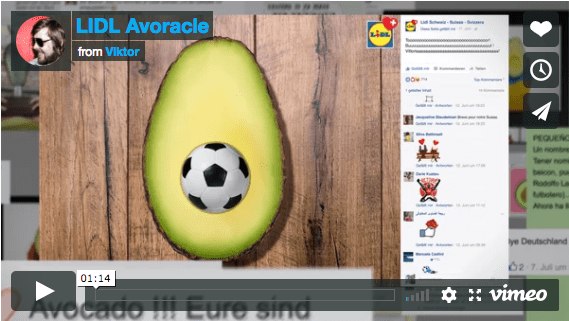 In this quirky social media campaign (described in detail in the video above), Lidl supermarket, capitalized on the fruit's popularity and the relatable experience of not knowing where its pit would end up upon slicing, to "predict" winners of soccer matches. A few years ago, GE launched a social media campaign around the hashtag, #6SecondScienceFair on Tumblr and now defunct, Vine, where it re-vined posts from people to encourage interest in science, increase engagement, and build GE's reputation as an innovator. The particular Vine above highlights what happens when you combine milk, food coloring, and dish soap. It was liked 130,000 times and re-vined 105,000 times. In 2013, Photographer, Paulo del Valle started the #myinstagramlogo project, inspiring creatives to reimagine Instagram's icon in wildly creative ways. Then, in May 2016, when Instagram updated the logo that made it famous (much to the dismay of many users), the campaign saw renewed popularity. While not originally started by Instagram, this hashtag birthed a social media campaign fit perfectly with the artistic nature of the platform. You know what they say: "When life gives you lemons, made lemonade." In other words, turn a sour subject into something more pleasant. That's exactly what Worldwide Breast Cancer did with its campaign #KnowYourLemons. With this catchy, light-hearted hashtag, Worldwide Breast Cancer used Facebook to deliver critical information about lesser-known warning signs of Breast Cancer to thousands of women, while also creating a platform for survivors to share their personal tales, raise awareness, and encourage people to donate to the cause. According to Digital Marketing Institute, the nonprofit ultimately exceeded their fundraising target by 317% on Just Giving. 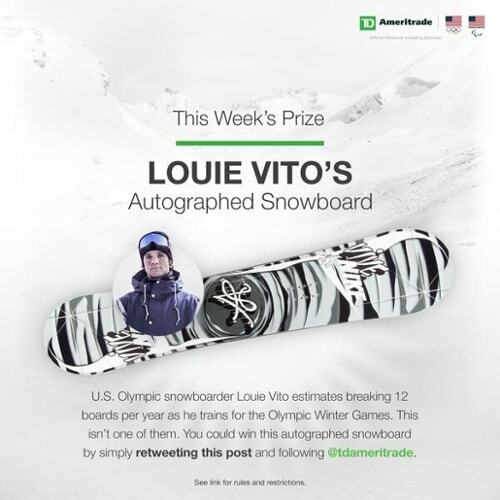 With this campaign, TD Ameritrade capitalized on the 2014 Winter Olympics hype by comparing the accumulation of small investments over time to the practice and preparation athletes go through to compete. An entire staff created for the campaign stayed in Sochi to document athlete journeys with photos, videos, and other content. The campaign resulted in 78,000+ uses of the campaign hashtag #itaddsup, a 12% increase in overall social audience, and 97 million brand impressions. If you're not familiar with it, Baskets is a dark-comedy series on FX that follows Chip Baskets, a down-and-out man (played by Zach Galifianakis), who dreams of becoming a professional clown. 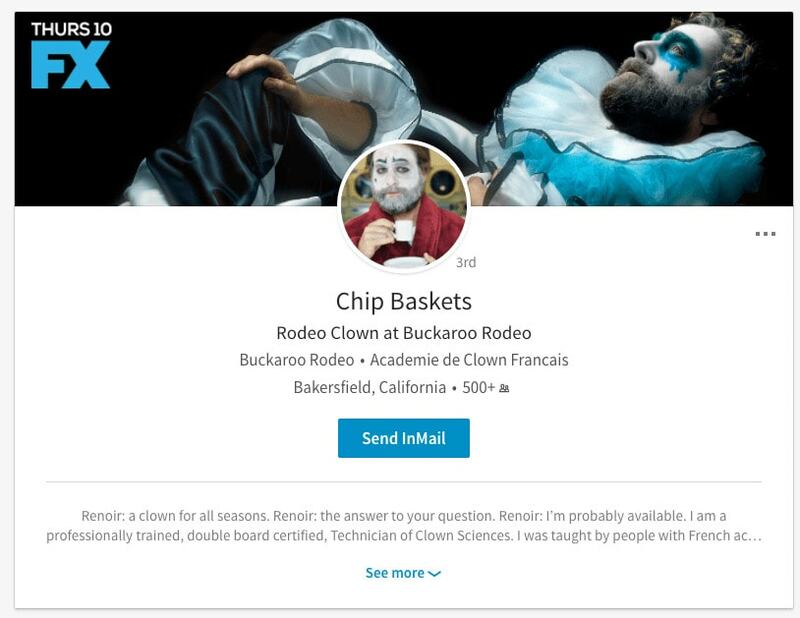 As the show is essentially about a Chip's job hunt, FX unexpectedly took to LinkedIn, creating a fully optimized profile for the character complete with experience, recommendations, and original blog articles. While not usually where you'd see an entertainment campaign, FX crafted a brilliant piece of native content that, to the untrained eye, may appear legitimate. "I've always thought of Marshalls like a real-life Pinterest board – you never know what surprising things you'll find just by strolling the aisles," explained Kate Albrecht, a lifestyle and home decor expert on YouTube, who Marshalls called upon to help launch this campaign. Marshalls Pin Pals Bringing Pinspiration to Life from kevin keiser on Vimeo. In this unusual digital and real world initiative, the retailer looked at boards of its Pinterest followers then had YouTube and other social media influencers deliver boxes filled with similar goodies from its aisles, right to their doorsteps. The deliveries were captured and shared across the influencers' favorite social channels as well as Marshalls’ own Pinterest, YouTube, Facebook and Twitter. 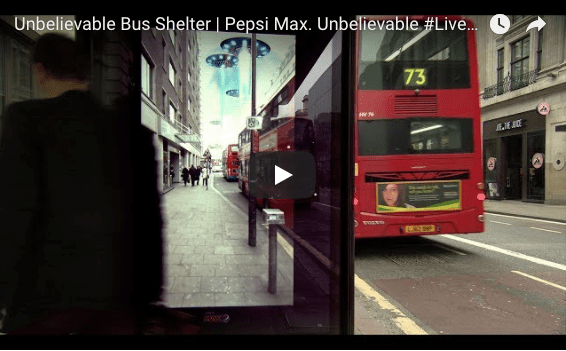 This social media campaign resulted in 12 million video views, 143,000 engagements, and 475 million impressions. Post and you shall receive. While that may not be how the saying goes, that is exactly what Marc Jacobs set out to achieve during New York Fashion week in 2014. His pop-up "Tweet Shop" provided fans with an opportunity to pay for products using social media posts as their currency. 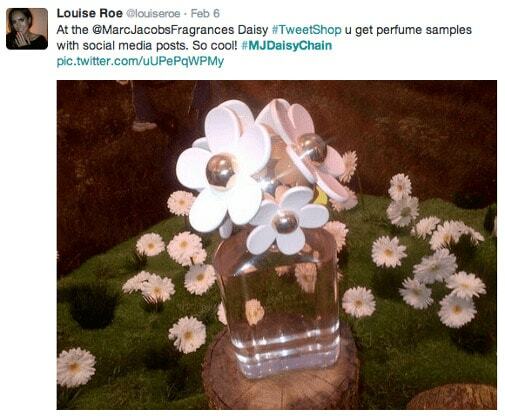 Yup, actual products in exchange for Daisy perfume-inspired Twitter, Facebook, and Instagram posts. Even three years later, the idea of social currency is so untapped, that concept alone is worth writing about. While many businesses waste their time pitching and asking on social media, Marc Jacobs created a campaign that was geared towards a more mutual benefit. The submitted images stirred up some attention and the customers will be rewarded for their participation. Everybody's happy. Described as a "surprise delivery of social high-fives," this social media campaign promoted the Blue Cash Everyday AMEX card with playful and, most importantly, shareworthy videos congratulating real people on their "adulting" successes such as hosting their first dinner party or getting a promotion. The team dove into Facebook's API to identify the most popular (with the most engagement) adulting topics then called in spokeswoman, Tina Fey to film memorable clips about them. The videos resonated so much with viewers, the campaign resulted in over 30 million views and a 20% lift in brand consideration for AMEX. Amex Everyday Congrats Tina Fey from Anonymous on Vimeo. A few years ago, popular restaurant chain, Qdoba, created a campaign where its fans could vote for their favorite queso, deciding which the company would keep and which one would have to go. 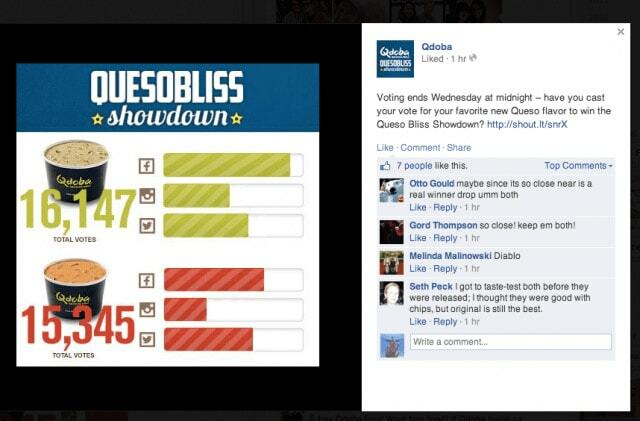 This social media campaign made fans feel like they were having a real impact on the organization and got to see results updated in real-time while Qdoba kept people engaged and built suspense around the showdown. The unique campaign and mediums stayed so true to the humor and personality of the outspoken character, there's not much I can share here that would be deemed safe for work, but hey, it got the job done! In the end, Deadpool became Fox Home Entertainment's best selling DVD ever. from Armed Mind on Vimeo. In this example, Urban Decay built a social media campaign on Pinterest where users could submit their best recreations of makeup styles that they've seen at their favorite music festivals. Throughout the campaign, the cosmetic company gave away free festival tickets to Pinterest users that created the best boards featuring festival looks. 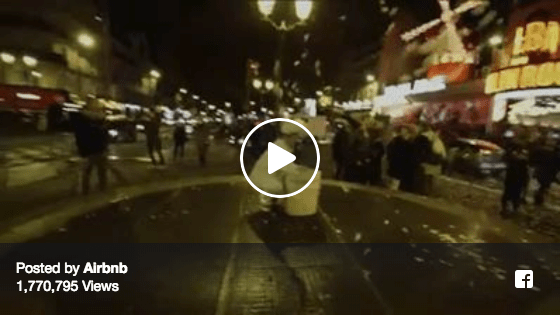 In this social media campaign, Airbnb streamed 6 films live on Facebook to promote the release of its new app. Shot through helmet cams in 6 cities, on 5 continents, over the course of 24 hours, the films followed individuals as they went through their own "Airbnb experiences." Viewers could watch, comment, and overall feel as if they were there as well. The campaign resulted in a 22 Point Lift in Ad Recall, 7 Point Lift in Brand Favorability, and over 6 million global participants in first 24 hours. 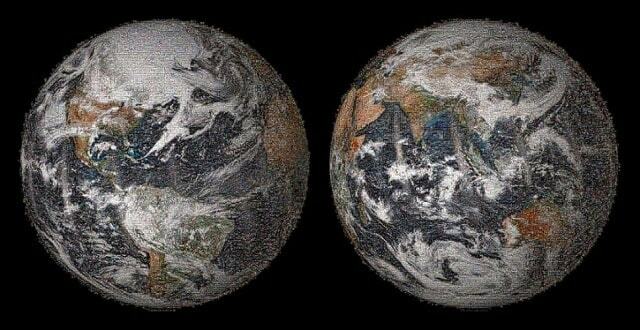 In 2014, NASA found a way to get people excited about Earth Day by collaborating on a creative project called Global Selfie. Have you lost control of the narrative on your brand? This campaign is a risky one, but certainly one to consider. When Healthcare.gov first launched, there was a lot of controversy surrounding the program and it didn't help that the website kept malfunctioning from all of the traffic. 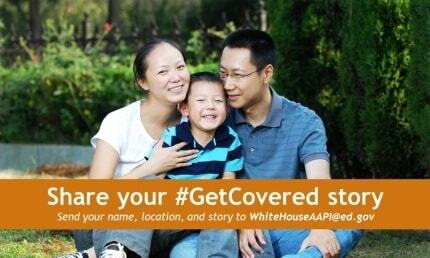 The White House created the #GetCovered hashtag to retweet posts from people sharing their good experiences to flip the narrative to a more positive one. 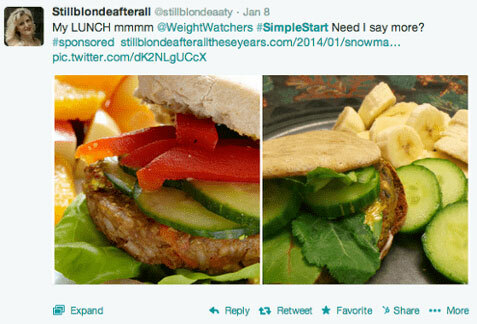 At the start of 2014, Weight Watchers launched its #SimpleStart campaign designed to help their audience get off on the right foot. With weight loss resolutions at their ripest, the campaign hit at the right time in the right places. 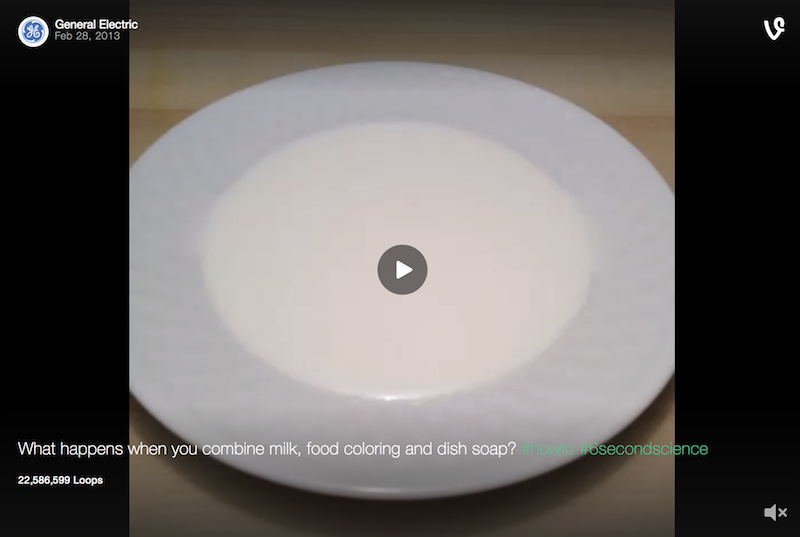 A series of commercials introducing the campaign were accompanied by the Simple Start app (which served as a community for healthy hopefuls to connect and share), while the hashtag #SimpleStart inspired those interested in the initiative to join the conversation, post about their achievements, share recipes, tips, and tricks. Not only was this campaign timed perfectly, but it sought to create a sense of community. With weight loss, comes the need for support, direction, and encouragement, which is what the #SimpleStart social media campaign provided. Additionally, by encouraging participants to post about their progress, it served as a positive reflection of the programs ability to deliver results. #SimpleStart got the word out, involved the audience, and helped people work together to achieve their goals. Tiffany shows you can position your brand around nearly anything to increase brand awareness; In its case it's around its signature blue. Instagram users posts tens of thousands of photos with the hashtag #tiffanyblue every day and many of the blue items have nothing to do with Tiffany. This one requires no explanation! The Ice Bucket Challenge is considered one of the most successful social media campaigns of all-time after using a simple (but unpleasant and hilarious) challenge to raise over $115 million dollars for a disease that most people had never even heard of. The virality was propelled as people publicly challenged their friends and family to participate on social media. This social pressure made them more likely to get involved (or donate) than someone simply asking for a like or share. 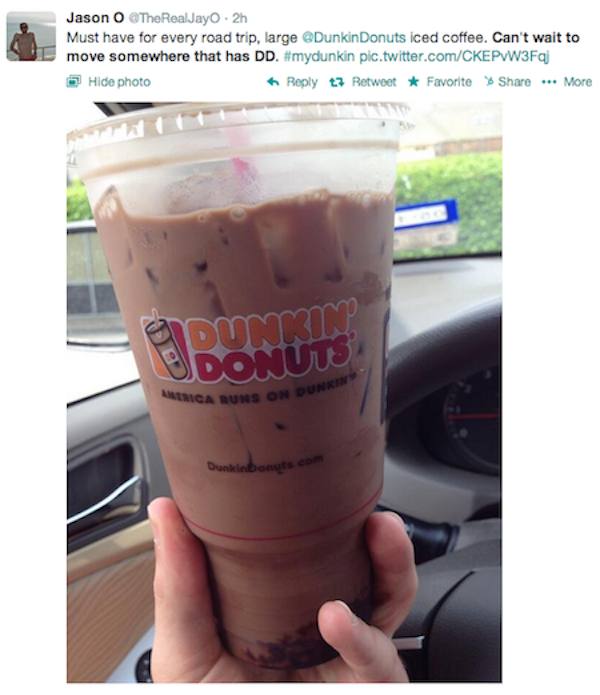 Also in 2014, Dunkin' Donuts proved the importance of prompting social action with its #MyDunkin social media campaign. The campaign encouraged customers to share their Dunkin' experiences on social media using the #MyDunkin hashtag and offered them a chance to be featured in a series of television commercials. During its run, the hashtag made its way into stores, onto cups, and held a place at the top of many coffee lover's minds. "We are celebrating Dunkin' Donuts guests and the brand's breadth of coffee leadership in an authentic, genuine way that reflects the changing media environment while driving deeper engagement between the brand and its loyal fans," said one of the campaign's creators, Chris D'Amico. Rather than simply inserting its social media handles into its promotions, Dunkin' created this hashtag to encourage customers to share their experiences while spreading the word, providing feedback for the brand, and building a stronger relationship. 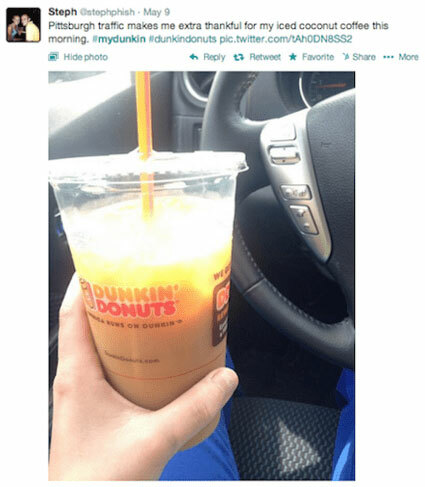 By asking customers to share, Dunkin' has also supplied the demand for social proof by bringing to light all of the reasons why other's see the value in its brand. As mentioned above, knowing your audience and understanding the platform is necessary if you're looking to rouse any engagement. That's where ModCloth greatly succeeded. In an attempt to pull inspiration for their 2012 spring wedding campaign, ModCloth invited their audience to create a "Spring ModCloth Wedding" board, where they would then pin 20 requested pins based off a provided prompt and their personal aesthetic. The prompt consisted of a list of 20 pin checklist including things like "something vintage" and "something blue" alongside things like "the perfect ModCloth shoe for you." While the brand was included in the mix, it wasn't overdone. Additionally, the pins had to include both the hashtag #modcloth and #wedding, which ultimately served as a way to better connect Pinterest users with the brand when searching for weddings. This social media campaign worked because ModCloth recognized its target audience was made up of heavy Pinterest users. With most Pinterest users being no strangers to weddings and fashion, ModCloth's contest didn't disrupt the platform's native content. Participation was designed to feel like fun, not work. By including the hashtags, ModCloth increased the likelihood that a user would come across one of its products when conducting a wedding search, while providing a link back to its website. 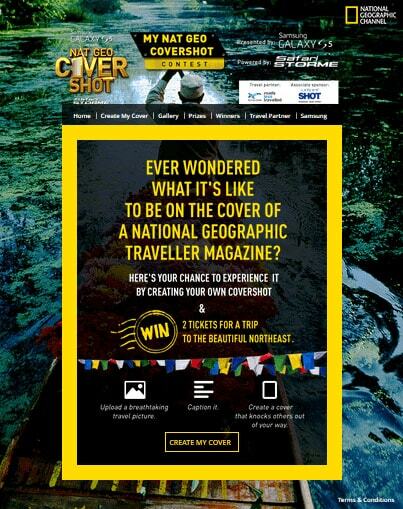 In 2014, National Geographic launched a Facebook contest where its fans had a chance to have their own photo featured on the cover of the magazine and win two tickets for a free vacation. All the fans had to do was upload their photos and caption it and they were automatically entered to win. A great way to get people excited about your brand is to offer them the chance to experience something unique. With #treehousetuesday, Airbnb (yes, again!) features photos of actual listings that allow you to spend the night in a real-life tree house. Judging from the engagement on this photo, I'd say it's working well for them. Honey Bunches of Oats ran a campaign with the tagline “50 Million Smiles and Counting,” during which it shared the testimonial videos, images, and quotes from fans it "made smile" across the country in exchange for a chance to win an all-expenses paid trip. By sharing the user-generated content across Facebook and Instagram, it was able to add 162,000 new fans (a 721% increase) and increase engagement and traffic to its pages. Want to find fresh talent and build brand awareness at the same time? That's exactly what Marc Jacobs did when he sought out to find the face of his new contemporary label with this social media campaign (his second on our list). 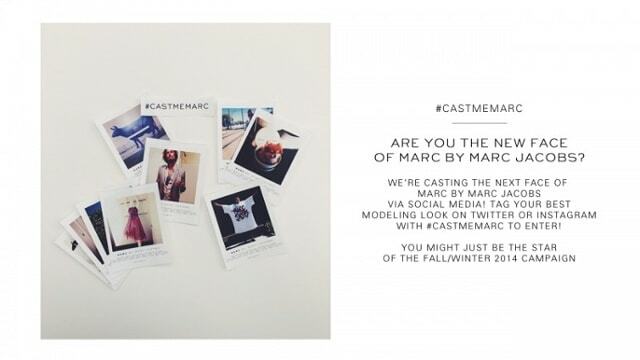 For the chance to star in the fashion icon's next campaign, all you had to do was share a photo of yourself on Twitter or Instagram with the hashtag #CastMeMarc. Marc announced the winner of his online casting call from his personal Twitter page. 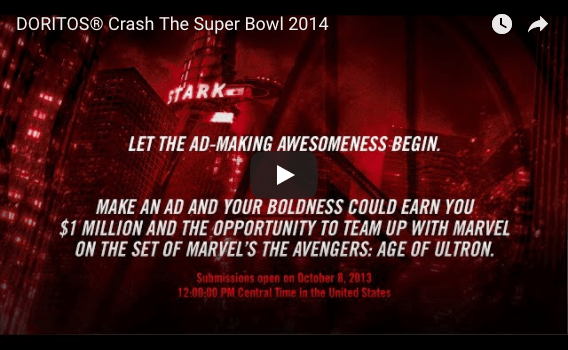 Doritos utilizes two great strategies in this social media campaign: highlighting user-generated content and building off of the buzz from a huge event -- the Superbowl. This social media contest allows fans to submit their Doritios commercials and the winner gets their video on TV during the Superbowl, along with other cool prizes. This might be difficult for most companies to pull off without a large budget for special effects, but it's still worth sharing! A few years ago, Kraft Foods decided to rebrand A.1. by removing "steak" from its name and encouraging people to use the sauce on almost everything. To do this, the company posted this screenshot of A.1. 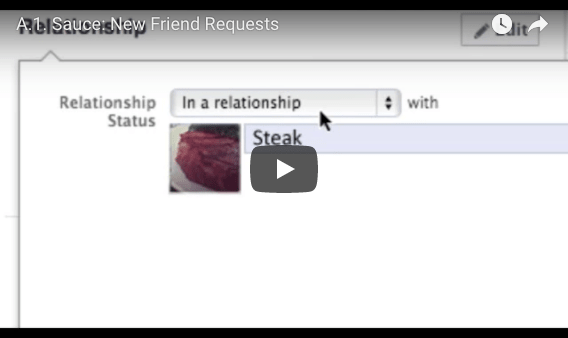 changing its relationship with steak to "it's complicated" on Faccebook. Consumers can be resistant to a rebranding if your product has been solidified in their mind as one thing, but using humor and social media like Kraft did is a great way to build awareness and get people excited.